Parque Kennedy in Miraflores, Lima, Peru. 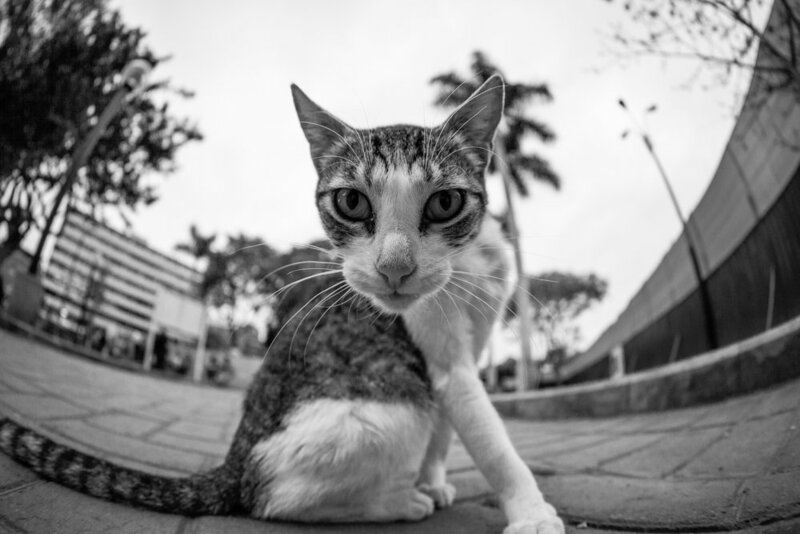 Visit the cats in Parque Kennedy, Miraflores, Lima. 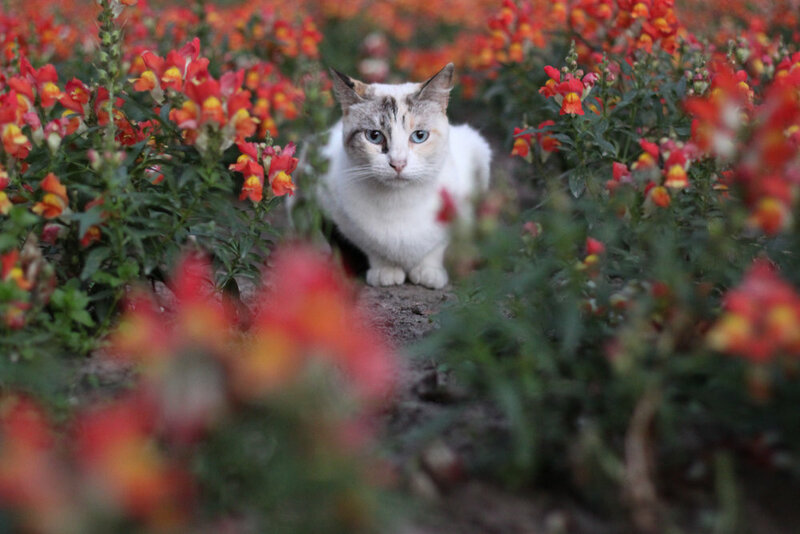 A cat amongst the flowers in Kennedy Park in Miraflores, Lima. 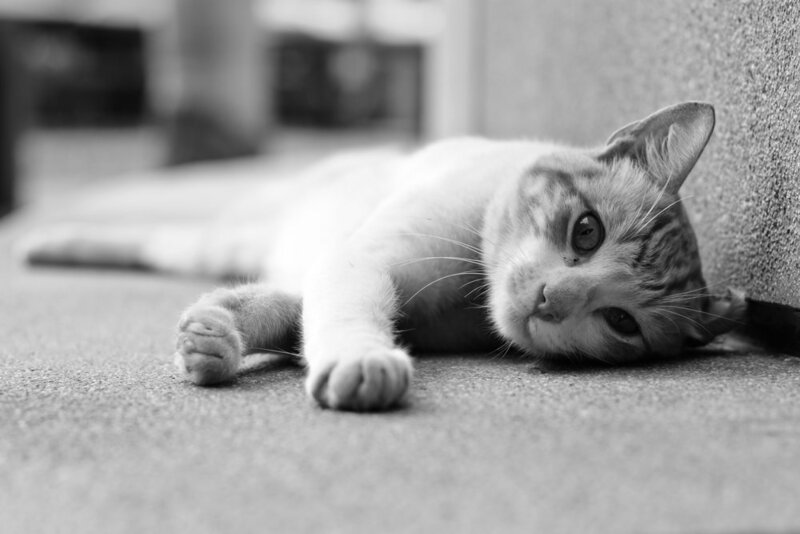 Black and white cat photography in Lima. A cute cat snoozing in Parque Kennedy in Lima. 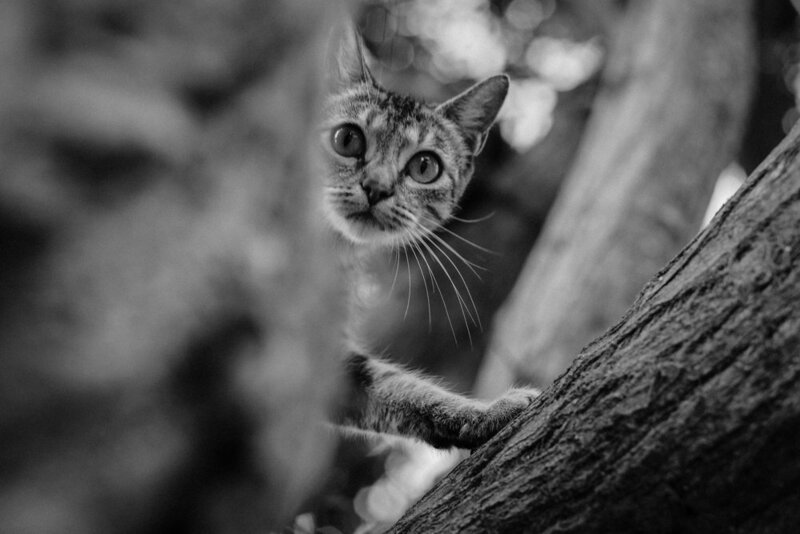 Visit Miraflores, cat photography by Geraint Rowland. 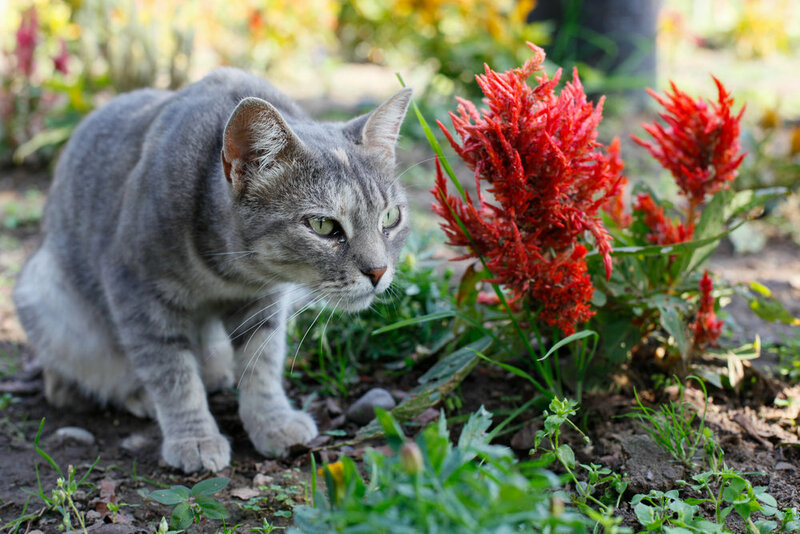 Cats and Flowers in Miraflores. Parque Kennedy is located in the centre of Miraflores, one of the main tourist areas of Lima. Miraflores is full of shops, restaurants, hotels and hostels, a very clean and safe area to walk around at day or night. Miraflores is approximately 18km (11 miles) away from Jorge Chávez International Airport and some 11km (7 miles) from Lima's downtown area. Parque Kennedy is less than a mile away from the coastal park areas (Malecon de Miraflores) on the cliffs overlooking the ocean and the beaches themselves of Miraflores and the Costa Verde. At some stage in the not too distance past people started dropping off their unwanted cats to the park. It didn't take long and there were over one hundred Cats in Parque Kennedy and further breeding started. When I first visited Lima in 2011 there were actually a lot more cats than there are today due to the help of a local feline adoption association called 'Gatos Parque Kennedy'. The majority of the cats are now sterilized, and well fed and looked after by the local volunteers. Via the association people can now adopt the cats which has helped to keep the numbers down. Although the numbers have gone down there are still plenty of Cats throughout the park, climbing the trees, shading in the flowers and getting spoilt by the tourists and locals alike.